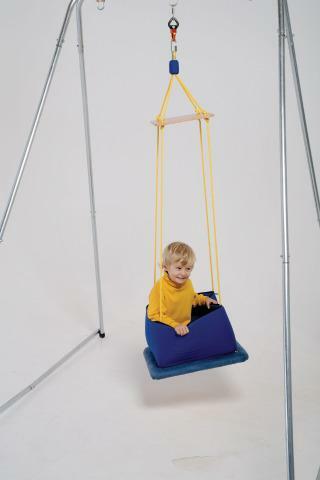 Provides the security that some children need while still allowing challenge to the vestibular system often useful in the early stages of sensory integration. Platform made of soft microfiber. Enclosure made of heavy weight cotton. Indoor use only. Weight limit: 199 lbs. 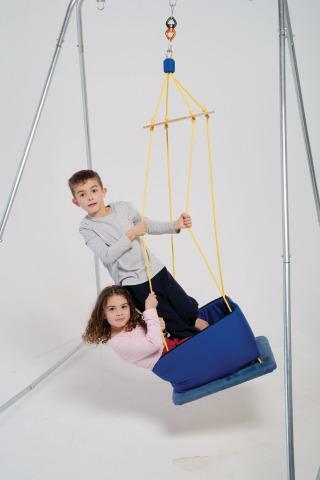 Dimensions: L: 20" x W: 20"